Ram will soon begin shooting for the Telugu remake of Bol Bachchan. The film’s Telugu title hasn’t been confirmed yet. Venkatesh and Ram are teaming up for the first time for this film. Vijay Bhaskar is going to direct it and D Suresh Babu, Sravanthi Ravi Kishore are going to produce the film. The film was launched earlier today in Ramanaidu Studios and only the core team of the film was present for the launch. Buzz is that Ram will be sporting a new look for this film. He sported a matured look for Ongole Githa and in Bol Bachchan’s remake, he’s going to change his look once again. “Will be sporting a “clean shaven” look for the first time in my next “untitled” film.. ;),” he said on Twitter. 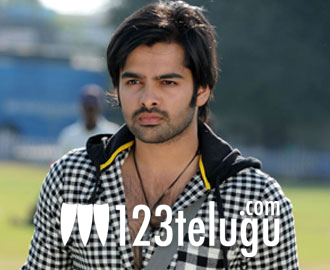 His styling and costumes in Endhukante Premanta got rave reviews and it remains to be seen how well his new look will be received by his fans. The film’s shooting will begin shortly and the more details about the cast and crew will be announced soon.